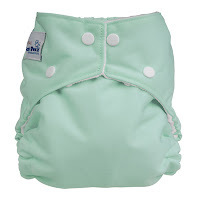 To Cloth Diaper or not to Cloth Diaper? Okay, after being back at work today I feel more energized. Probably because I was getting off 45 minutes early. 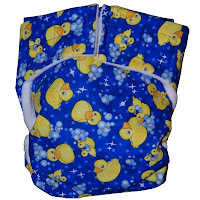 LOL But anyhoo..I have been toying around with the idea of using cloth diapers because of my brother-in-law and his wife. It had nothing to do with the landfill. Glad to be helping out, but that won't it. These two...bless their hearts...have 5 children and one on the way. The have 1 that is still in diapers, one that is training and another that was just trained last year. (They are 8,5,4,3,2, and1) they just seem so fertile...~ahem~ But whenever they come to visit and they are sitting around having a good time one of the little ones will ~do they bizness~ and need to be changed. The two dummies, I mean in-laws will start with the..."Where are the pampers?" " I thought you had em'." I have decided that I don't want to be like them. I mentioned it to my Phat man and he seems okay with them. My Phat mom went on and on about when she used cloth diapers and how she had to dunk them in the toilet. Ewww is right...but they have come a long way. Let me know what you think. They even have flushable liners so there will be NO MORE DUNKING...! Ha @ Phat mom. "I could never carry my baby to full term and give it away." But they can run to the nearest clinic and kill it? Can someone help me understand this please. I have seen this too many times and it makes me so mad. I feel like if you can do all of the above then why not either: A: Keep it, B: Give it away to someone in the family that can't have children, C: Put it up for adoption, or D: Ask for help. I am so sick of seeing this as being a easy way out for two grown folks to handle their business. 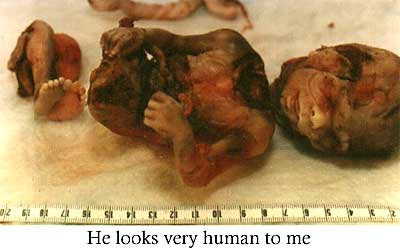 I feel like abortion should be illegal. YES I AM PRO-LIFE!!!!!!!!! (Can't you tell?) I feel that the termination of a pregnancy should only be used from a medical standpoint. Extreme deformities and if the child is already deceased inside the womb. Other than that individuals that are raped..give it up for adoption or keep it. That child is a part of you too. You never know who you might be aborting. The next President, The one that may have the Cure for Cancer, Aids...we will never know because of a generation being sucked away. What do you think? BM: How are you doing? ~Pregnant Pause~ --Sorry for the pun..but for real it was really quiet. BM: Gurl I had pizza and ice cream. It was good too. Phatgurl: I just told Phat Man that I wanted some ice cream..what kind did you have? BM: Butter Pecan...my back is hurting now...I will be glad when this is over. Phatgurl: Well you don't have too much longer. Grandma: She'll be alright, she has been having these crazy mood swings. BM: So do you and your phat man have any children? Phatgurl: No, we don't have any kids. We have been trying for a long time and we have been unable to do so. While this conversation is going on...Grandma, my Phat sis-n-law, and Phatman are all on the line with BM. Grandma: Hell, no.. we do not want him to be stereotyped....we want him to have a chance without being judged by his name. Grandma: What name have ya'll chosen? ~Everyone except Phatman~ Awwwww I like that that's cute! Surprise! We are adopting. We were approached sometime in April. Spoke with the BM and we are doing a permanent guardianship! (same thing-) I am so excited! My husband and I both. Looks like that TEST was positive afterall. Thank you Jesus! It's a boy: Julian Bryce Keshon McClain is on the way! Due June 3rd. Look out for pics soon! P.S. 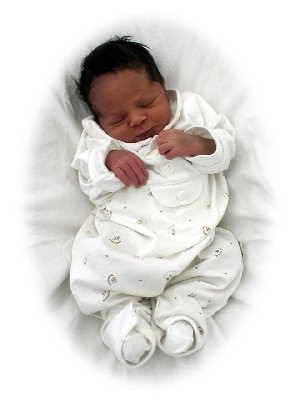 The baby in the above pics is not ours but he or she is a cutey isn't it! ?